Mon - Fri: 10am - 4pm Sat: 10am - 5pm Sun: 10am - 5pm Special hours: ANZAC Day the Museum Opens at 1pm Closed: Good Friday, Christmas Day, and Boxing Day. The Australian National Aviation Museum contains the finest collection of Australian made and designed aircraft, as well as the broadest collection, with representative types covering the development of air travel and military aviation within Australia. The Collection contains over 50 rare and historic Australian aircraft, with over 30 on display or under restoration at the museum. Representative aircraft are on display, from the RAAF and RAN, WW2 through to the jet age, pre-war, post war and jet-turbine airliners from Ansett-ANA, TAA and others, Australian made by CAC, DAP and Victa, vintage and classic civilian aircraft from the "Moth" through to a London to Sydney air-racer. 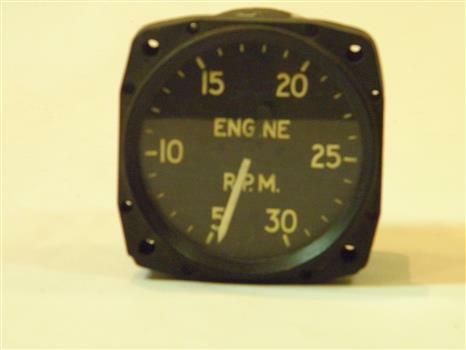 Round black-faced engine RPM instrument enclosed in black painted aluminium. Dial is black with white numerals and text. Believed to be of World War Two vintage, but aircraft unknown. Dial is scaled to read from 0-3000 RPM. Inscription on Name plate attached to rear states: CODE 82RV / SER. No. 41758 / MOD. 1.1 BRIT. PATS. illegible / SMITHS LOGO / "MADE IN ENGLAND"
Although Ansett Australia became bankrupt in 2001, this commemorative model was still commercially available to it's last edition in 2003. 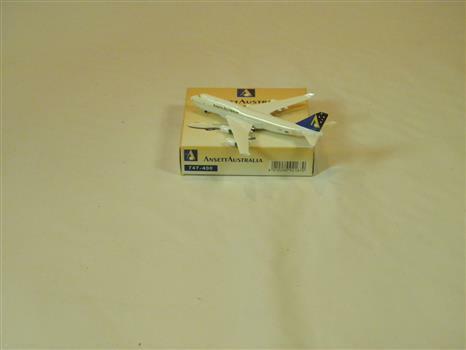 This model complements other items in the museum's display and collection relating to the Ansett Australia airline and its history in Australia. 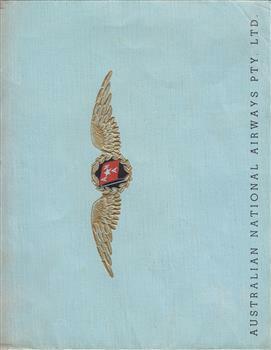 Australian National Airways Pty Ltd pamphlet , undated but c.1939-40, 20 pages including light blue cover introducing Douglas Air Travel. 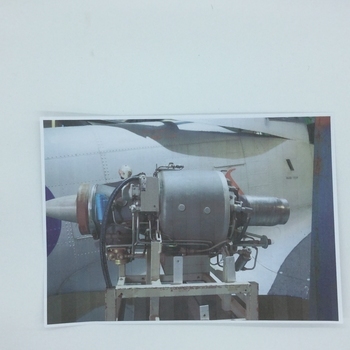 20 plus photographs include pictures of all aspects of company operations and passenger comforts. The pamphlet can be dated to the period after the crash of ANA DC-2 Kyeema which occurred in October 1938, as the fleet list shows ANA's three other DC-2s and four DC-3s. ANA was Australia's major domestic airline in the period immediately prior to the outbreak of World War 2. The pamphlet shows the extent of operations including the most modern airliners available at the time, the first radio navigation aids which had been introduced following the crash of Kyeema in 1938, repair and maintenance facilities and the range of passenger comforts both on the ground and in the air. Embossed ANA crest on front cover.